Word to the wise: Don't blow the negotiation because you haven't done your homework on market conditions. The 2014 real estate market is off to a strong start. Fueled by record low inventory, Boulder has been in a strong seller's market for much of the past two years. The 1st quarter of 2014 is looking like more of the same. Until mortgage rates rise (expected) and/or the inventory shortage ends, this seller's market is unlikely to change. Before you sit down to write an offer or pull the trigger on listing your property on the MLS, it's absolutely critical to understand market conditions for your specific property type, price range, and location. During the last two years, I've seen a surprising number of buyers and sellers lose tens of thousands of dollars or blow the negotiation entirely because they received bad advice, didn't know market conditions, and weren't prepared. Sellers - your primary risk is leaving money or wasting precious market time with buyers who will not get to closing. Buyers - your biggest risk is not getting the house you really wanted because you chose an inappropriate negotiation strategy for market conditions (lowball, etc) or paying too much to win a bidding war. Don't let this be you. Choose an agent who knows the market in detail and has expert negotiation skills. The standard Colorado Real Estate Commission approved contract has many elements that come into play during aggressive negotiation. Make sure you and your agent have discussed strategy in detail, from marketing (including initial pricing) to negotiation stages to closing. And don't forget, your agent advises and executes. As George Bush would say, "You're the decider." Buyers want the best deal. Sellers want to maximize the sale price. In walks your typical real estate agent. Let's face it. Most agents just want to get a deal done. Here's the thing. I'm not that agent. Skillful negotiation is one of my favorite aspects of the real estate business. It's also one of my competitive advantages. I have fifteen years of experience negotiating for private clients and investment firms, and I still read several books on negotiation every year and take at least one advanced negotiation course. It's how I keep my skills fresh. 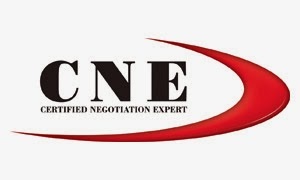 The most recent course I took gives me the credentials of a Certified Negotiation Expert (CNE). 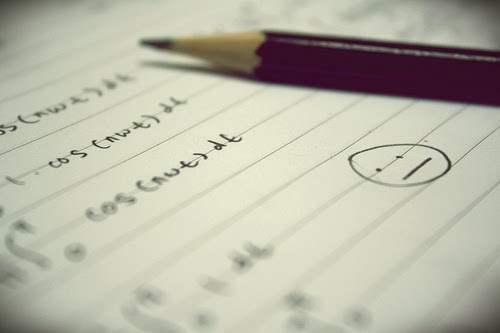 It was based on the similar course taught in the Harvard Business School (at a cost of $11,750 I might add). I'm serious about negotiation. Despite negotiating on average of 2-3 real estate transactions a month and my professional investment experience negotiating on a wide range of assets, I still invest my time and money to stay on top of my game. Lay out my transactions over the past decade and you'll find that when I represent the buyer, I'm negotiating bigger discounts than average and when representing sellers, I'm tenaciously pushing to keep every dollar in my client's pocket. It's just how I'm wired. Want to Learn about Market Conditions? Please join us for the January Boulder Real Estate Meetup. We'll be discussing the impacts of September's historic floods and current market conditions. We're meeting at the Riverside on January 23. RSVP here.